We evaluated 20 senior tour companies on a variety of benchmarks including customization options, value, and customer feedback and selected our top three for your review. Adventures Abroad specializes in tours with the maximum of 18 participants and an even lower cap on certain types of senior tours like hiking. Prices vary substantially based on location and days of travel. For example, a nine-day Costa Rica trip without airfare starts around $2,170. Adventures Abroad is best for active travelers. 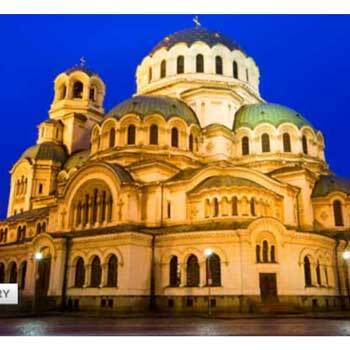 Grand European Travel books over 300 guided tours, senior tours and river cruises with partner companies such as Trafalgar, Insight Vacations, Luxury Gold. An eight-day trip through the Yucatán Peninsula (including Cancun) starts at $1,616 before airfare, while 10 days in Switzerland starts at $5,486 without airfare. Grand European Travel is best for those traveling on a budget. Kensington Tours specializes in custom luxury travel while offering tour and vacation packages at an extensive list of destinations. Many starting point tour packages fall in the $5,000 range without airfare. Tours for more private experiences, such as private touring in Kenya for 18 days start at around $13,554 before airfare. Kensington Tours is best for those looking to customize a tour. We evaluated 20 senior tour companies and selected our top three. To find the best senior tour companies, we looked at a variety of benchmarks including customization options, value, and customer feedback. Kensington Tours, Adventures Abroad, and Grand European Travel are our top three senior tour company picks. In this guide, we will discuss important factors to consider when choosing a senior tour company, top tips to consider when shopping for a senior-focused tour, and detailed evaluations of each of our top companies. Travel insurance costs more for seniors but it’s necessary. Make sure you know how and whether your medical insurance is valid internationally. Book a nonstop flight if possible and avoid regional jets. Find a tour company that specializes in the style of travel and location you prefer. If you want a particular tour experience, ask about customization options. No two senior tour companies are alike. Each has their strengths and weaknesses and can cater to different groups, which is to the traveler’s advantage. It gives the customer a chance to find the tour and trip that best suits their preferred travel style and pace. It also lets travelers pick agencies that specialize in the region they want to visit. Prices vary significantly between companies, most often due to the level of amenities offered between senior tour company, or special rates the operator has negotiated with vendors. Shop around and talk to multiple tour agencies to determine what senior tours they provide so you can get the best experience for your money. Get quotes from multiple agencies. Vacations are supposed to be enjoyable, not hectic schedules. Don’t try to pack too much into your itinerary. Be realistic about how much you can absorb in a day and about your ideal level of activity. Talk to the experts at your chosen senior tour company about your preferred style of travel. For example, do you want to be driven to each excursion, or do you want to bike with a group? When comparing tours offered by different companies, be sure you are comparing identical features of the trips. For example, if the price of trip A includes airfare but trip B doesn’t, you need to compare pricing either without airfare on both trips or with the addition of airfare on trip B to get an accurate comparison. Be sure accommodations are equal or close to it when comparing costs. Likewise, trip A being three days shorter than trip B would account for pricing differences. Hotel grades, travel accommodations during the trip, food arrangements, and any other items should all be the same or very similar, or differences have to be accounted for when comparing prices and the trip itself. Be sure you are getting what you want at a price you can manage. 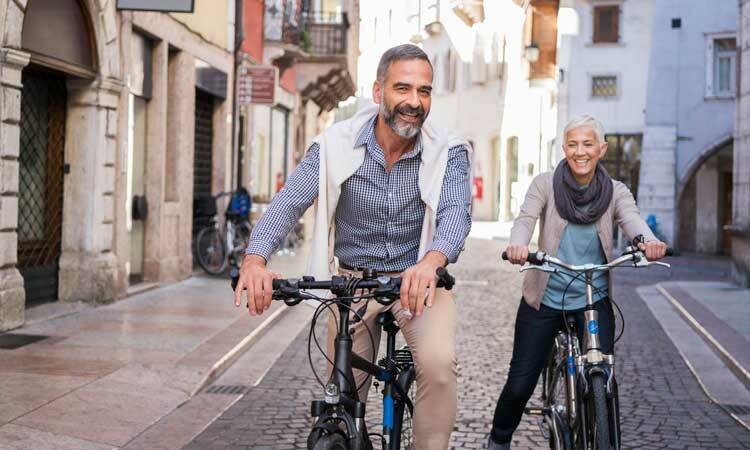 When comparing customized package options across multiple senior tour companies, pay attention to things like, whether they use local tour guides, which meals are included, how many nights of lodging is included and what kind of activities you’re limited to. Don’t be overzealous with your itinerary. Vacations are supposed to be enjoyable, not hectic schedules. Don’t try to pack too much into your itinerary. Be realistic about how much you can absorb in a day and about your ideal level of activity. Talk to the experts at your chosen senior tour company about your preferred style of travel. For example, do you want to be driven to each excursion, or do you want to bike with a group? Senior tour companies offer a variety of tour types (bus, walking, combination of the two) and lengths (one week to over one month). If your trip requires you to fly, it is critical to review Transportation Security Administration (TSA) requirements before you pack. Consider the TSA PreCheck feature as well to speed your time through the security lines. TSA requirements and regulations change as security needs change. Checking the rules before packing can save valuable time and headaches by making sure all belongings will pass through security. Submit an online application and schedule an appointment at one of 380+ enrollment centers. Attend your 10-minute appointment which includes a background check and fingerprinting. Add your new Known Traveler Number to your airline tickets during booking from here on out. Travel insurance can save you money if you have to cancel. Sometimes unforeseen events happen. A volcano erupts, and travel is halted to the area. You could suffer a foot injury that prevents walking, or you may be called in for jury duty. While cancellation policies vary among travel companies, travel insurance covers the gap to make sure you aren’t on the hook for costs when things go wrong. Travel insurance costs, on average about 4 percent to 10 percent of your trip cost while hedging against the risk of losing what you paid for the trip when things go awry. Make sure you know whether your medical insurance covers you internationally and if so, what exactly it covers. If you don’t have medical coverage internationally through your provider most travel insurance plans include medical coverage. If you have a preexisting condition, call to make sure your travel insurance covers it. We began our search with 20 well-known senior tour companies. These companies offer tours and vacation packages in a variety of locations around the world, have varying trip dates and lengths, have a variety of vacation packages and customization options and provide great customer service. We analyzed senior tour companies based on reviews from respected travel sites and writers. Our final list of senior tour companies should help you get started with planning your dream trip. Many companies are selling senior tour experiences. However, we’ve sorted through the data for you. Our in-depth senior tour analysis goes deep into what the company offers combined with customer feedback. We narrowed the list to our top three based on specific criteria we set by researching what is most important to consumers. The result was our list of three senior tour providers. After our evaluation, we chose our picks for the three best senior tour companies: Kensington Tours, Adventures Abroad, and Grand European Travel. Each of these companies stood out above the competition. Adventures Abroad specializes in tours with the maximum of 18 participants and an even lower cap on certain types of senior tours like hiking. Adventures Abroad started in 1987 with an Egypt tour and is now passing their thirty-first year in business. The focus of Adventures Abroad is a local or regional culture experience. In stopovers, they utilize local guides for groups at local venues rather than standard national or international chain stores and tourist facilities. This senior tour company balances local experiences with high-quality accommodations of three or four stars, including private bath facilities whenever possible. Adventures Abroad’s five principles of travel are quality, flexibility, experience, small groups, and value. Adventures Abroad offers a wide selection of destinations and experiences. Tours are available across the globe, on nearly every continent. 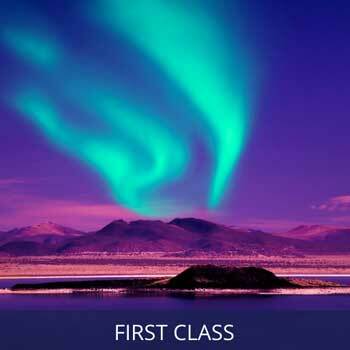 As is to be expected, prices vary substantially based on location and days of travel. For example, a nine-day Costa Rica trip without airfare starts around $2,170 while a 27-day trip covering Rwanda, Uganda, Kenya, Tanzania, and a Zanzibar extension starts at $15,950, not including airfare. Adventures Abroad hosts senior tours, and they also welcome family groups with a minimum age of 15 on most trips. Custom trips are available for grandparents traveling with younger grandchildren. Speak to a representative to create an experience personalized to your tastes and needs. Adventures Abroad recognizes that one type of travel does not fit everyone. Adventures Abroad has an “A+” rating with the BBB. It has two stars on Yelp with most customers complaining about unexpected cancelled parts of their tours. Cultural Journeys History, local or regional culture and nature without high activity demands. Active Adventures More walking and hiking or camping, sailing, or other activities, often in remote areas without standard accommodations and amenities. Family Friendly Tours Custom adventures with children or grandchildren to fit the specific family needs. Activity Level 1 Requires no extensive physical activity other than in town or city walking to sites and meals. Activity Level 2 Trips and tours require participants be fit enough for more demanding physical activity, like walking tours or train tours with many stops. These tours sometimes take place at higher altitudes. Activity Level 3 Best suited for those accustomed to long hikes on a regular basis. These trips may require long days of movement. Grand European Travel has been in business for over 40 years. They book over 300 guided tours, senior tours and river cruises with partner companies such as Trafalgar, Insight Vacations, Luxury Gold, Lion World, Uniworld Boutique River Cruises, Brendan Vacations, and CostSaver. They are an AARP preferred travel provider as well. Grand European Travel offers a variety of experiences including everything from nature appreciation to value tours to luxury travel. to solo travelers to compensate the cost of the assumption that at least two people will occupy a cabin. Grand European Travel waives the single supplement fees on a varied selection of river tours and guided tour trips, making traveling solo affordable. Group discounts are available with the opportunity for free travel for group leaders who organize their party, depending on the number of travelers. Prices vary widely and are in line with the styles of travel. For example, an eight-day trip through the Yucatán Peninsula (including Cancun) starts at $1,616 before airfare, while 10 days in Switzerland starts at $5,486 without airfare. Because Grand European Travel works with different recognized travel providers, they offer a wide variety of travel styles through brands that specialize in those styles. From budget to first class and from leisurely to active, Grand European Travel has a partner for your chosen travel style. Using trusted travel partners also helps to ensure that the providers of vacations are specialists in that area of the world and better equipped to provide the most knowledgeable guides available. Grand European Tours has an “A+” rating with the BBB and 4-5 stars on popular review sites like Yelp. Any complainst found were generally about unexpected events that caused cancellations of parts of tours. Kensington Tours specializes in custom luxury travel while offering tour and vacation packages at an extensive list of destinations. With over 30,000 customers, Kensington tailors your travel package to your preference. Kensington uses local guides for their tours and supplements the experience with a global network of in-country offices to ensure travelers can get whatever they want or need, all day every day. Whether solo travel, a group tour with friends, or family travel, Kensington Tours has options like river cruises, safaris, action and adventure travel, and volunteer trips. Kensington defines their tours by travel style. Below are some examples of the types of trips and tours you can have customized, so you do and see all you desire. Kensington Tours has an “A+” rating with the BBB. It has five stars with Trust Pilot and 3.5 stars on Yelp. Complaints were generally about dislike for tour guides or poor customer service. Festivals and Events Private guide and driver, VIP treatment with insider access to the most prestigious events. African safari, tulips in Amsterdam, Irish festivals in Dublin, treasures of India with a camel fair. Active Adventures For the active and adventurous, from beginners to the experienced athlete. Expert guides and private vehicles take you the top regional adventures like mountain hiking, white-water rafting, jungle treks, investigating an Icelandic volcano or rappelling over waterfalls. ME to WE Adventures Kensington Tours partners with ME to WE with immersion travel to live among people going about their everyday life in remote villages. With a ME to WE tour, you can walk with families in rural Kenya, meet indigenous communities of the Amazon and experience India’s vibrant culture among the locals. There are many more regional tours available, with trips for teens, college-age, schools, families, groups and companies. Kensington Tours has itineraries available for an large list of destinations in Asia, Africa, the South Pacific, Central America, the Middle East, Europe, and South America, and can create a completely custom tour as well. 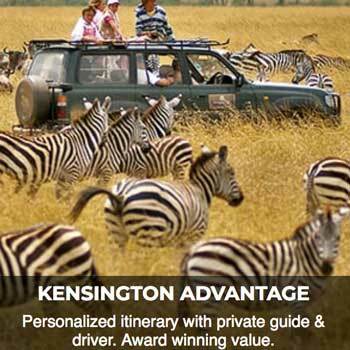 Because Kensington Tours focuses on a custom experience, prices vary substantially based on your travel preferences. However, many starting point tour packages fall in the $5,000 range without airfare. Tours for more private experiences, such as private touring in Kenya for 18 days start at around $13,000 before airfare. Although details vary between senior tour companies, a guided tour is one where a guide employed by the travel company accompanies travelers to show them around a location. Guides often suggest or arrange activities and restaurants, help travelers find their way around areas, and provide information about the destination. Do I have to get shots to travel on a senior tour? Whether or not immunizations are required depends on where you will be visiting. Your tour company should provide a list of necessary vaccines for travel and the time frame those immunizations are needed. Every travel company handles health concerns a little differently. Some may arrange for additional assistance during travel or suggest purchasing travel insurance, and others will work with the traveler to design a trip that considers health concerns. Speak with your doctor about your plans before buying a tour, as a medical professional will know more about your health needs than a travel planner. The answer to this question is not straightforward, so you should apply for a passport weeks before your trip to be on the safe side. You may not need a passport to visit American territories like the U.S. Virgin Islands, but having a passport protects you from surprises as you travel into areas where one is required. Also, some state driver’s licenses are still not in compliance with the Real ID Act, so you may need a passport even to fly within the United States. Do senior tours include airfare? Most travel companies offer tour pricing options with airfare and without airfare. When comparing multiple senior tour companies, be sure to compare airfare pricing and options equally so that you are not trying to compare pricing on first class vs. economy. Once you have a firm idea of your ideal senior tour, you will be better equipped to speak to the travel experts at a tour agency so they can help you find or create the best experience encompassing your wants, needs, and budget. All of the companies we chose as the best senior tour companies have solid online reviews from customers. Grand European Travel holds a 4.6 out of 5 on the review platform, feefo. 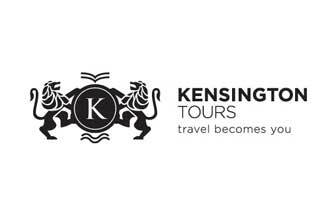 Kensington Tours scored 9.6 out of 10 on Trustpilot with 91 percent excellent ratings. Adventures Abroad holds an A+ rating with the Better Business Bureau. Each of our top picks for the best senior tour guides focuses on different travel styles and offers a wide variety of destinations.